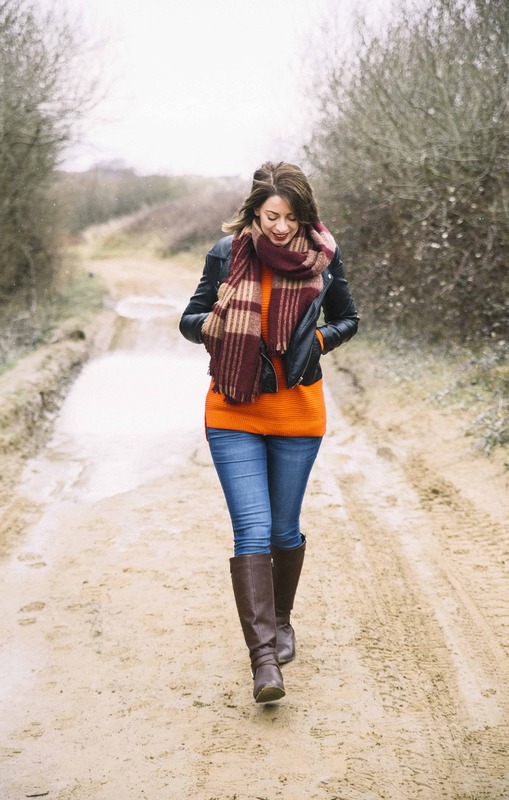 Now it’s November, I’m officially going into Christmas mode, and to celebrate, here is my first festive recipe! 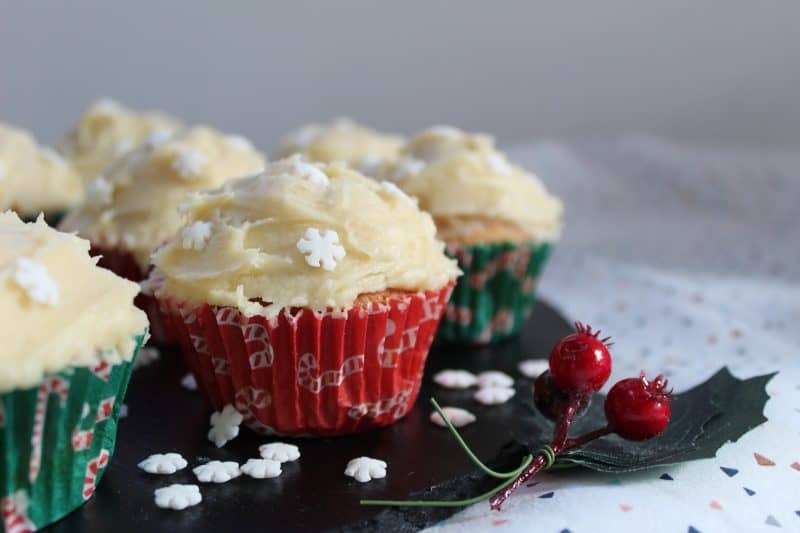 My gluten free Baileys cupcakes are the ultimate treat in the run up to Christmas something you just have to make! Sweet, moreish, and a little bit alcoholic, they’re pretty much the epitome of Christmas celebrations! So what makes these gluten free Baileys cupcakes so special? For starters, they are slathered in a sweet, sticky Baileys buttercream frosting. And that’s not to mention the Irish cream in the actual cake as well! I mean, could it get any better than this!? 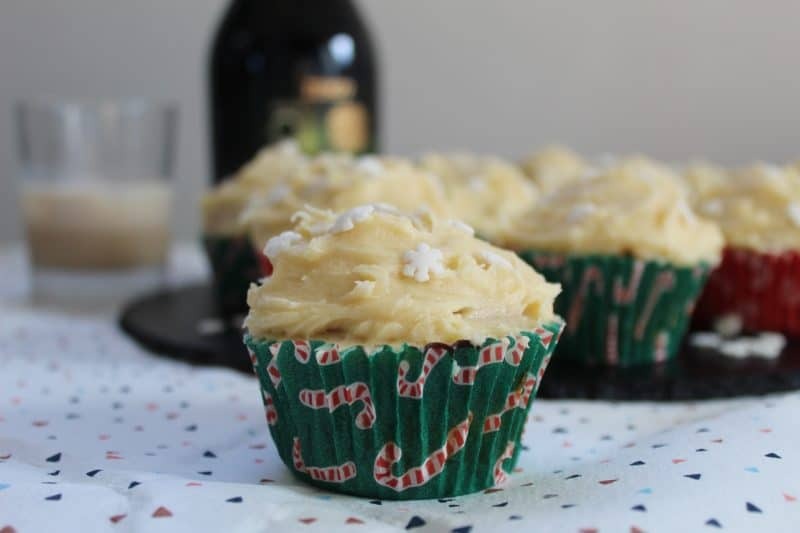 Ok, maybe the only way it could get better is teaming these gluten free Baileys cupcakes with…. a cup of Baileys!? I mean, you can never have too much Baileys, right!? Especially at Christmas! For the frosting on these cupcakes I used a spatula and I wanted to create a kind of messy, slathered effect. Kind of like the feeling you get after too much Baileys! I decorated them with some snowflake sprinkles from Tesco (no gluten in them!) and I think they look quite pretty. However, if you wanted to try out some fancy piping then please be my guest! 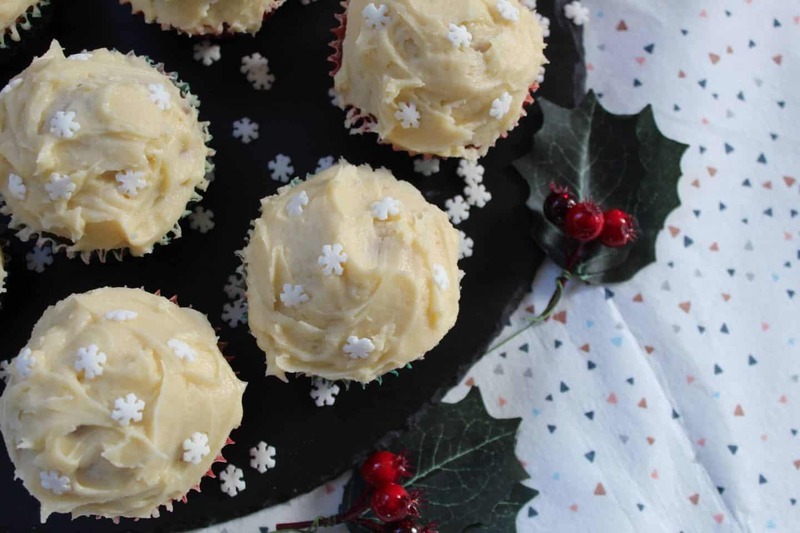 The frosting itself would also make a great addition to a chocolate, coffee or vanilla cupcake, so if you’d rather save some Baileys to drink, you could flavour the cupcakes themselves a little differently! This is such an easy recipe and really flexible so feel free to get creative! I picked up these cute Christmas cupcake cases in Tesco too, and I think these would be perfect for a festive party platter! 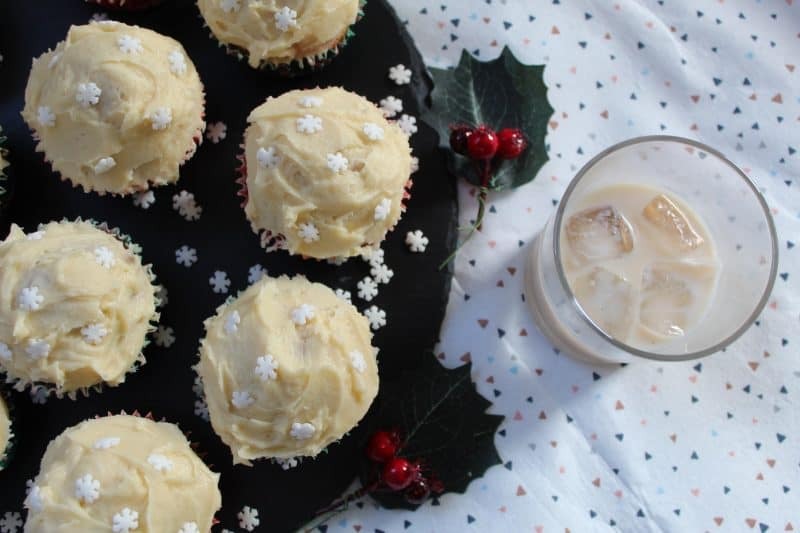 Gluten free Baileys cupcakes are the ultimate gluten free Christmas treat! Coeliac friendly and delicious boozey, with Baileys buttercream frosting. Preheat the oven to 180'C/Gas 4 and line a 12-hole muffin tin with 12 cupcake cases. Set aside. Make the cake batter by placing the butter and sugar in a large mixing bowl and beating with an electric mixer until pale. Add the eggs and beat again until combined. Then add the flour, xantham gum and Baileys and beat again until completely mixed. Spoon evenly between the cupcake cases. Bake in the oven for 20-25 minutes until a skewer inserted in the middle comes out clean. Remove from the oven and cool completely on a wire rack. Make the frosting by beating the butter with an electric whisk until smooth and supple. Add the icing sugar and Baileys and beat again (tip, cover with a clean tea towel at first to avoid an icing sugar cloud) until smooth. Use a spatula to spread the frosting evenly over the cupcakes and decorate as desired with sprinkles. Enjoy! Need some more gluten free Christmas inspiration?